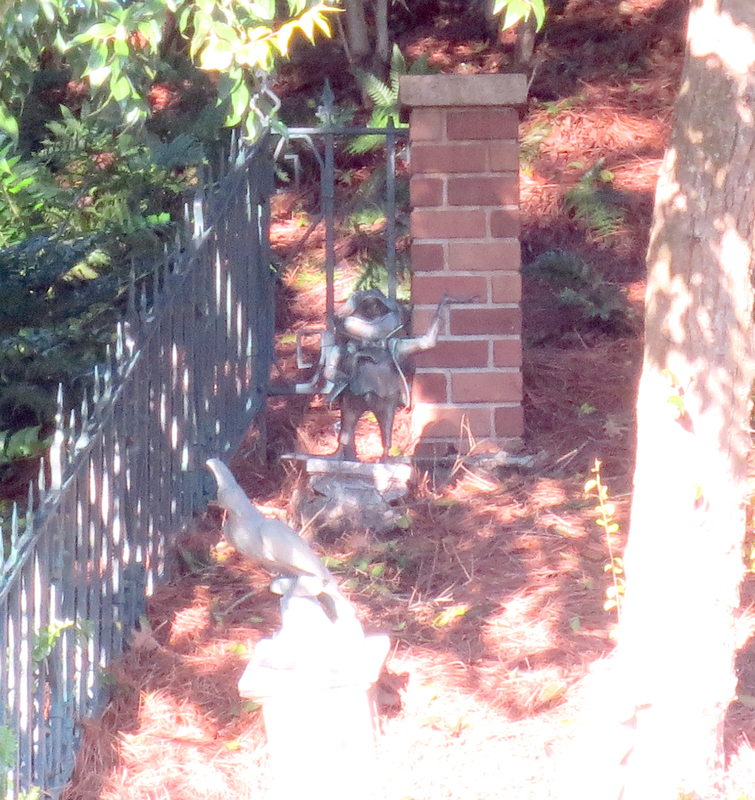 That story may be fiction, but the ring is real, and it’s embedded in the ground near the Haunted Mansion attraction. It’s also just one of many fun secrets hidden away in the interactive queue. Some of these expand upon the story, while others are nods to the ride’s creators and its history. So sit back and relax, foolish mortals, as we take a tour through the Haunted Mansion’s interactive queue and I reveal some (but probably not all) of the mysteries within. 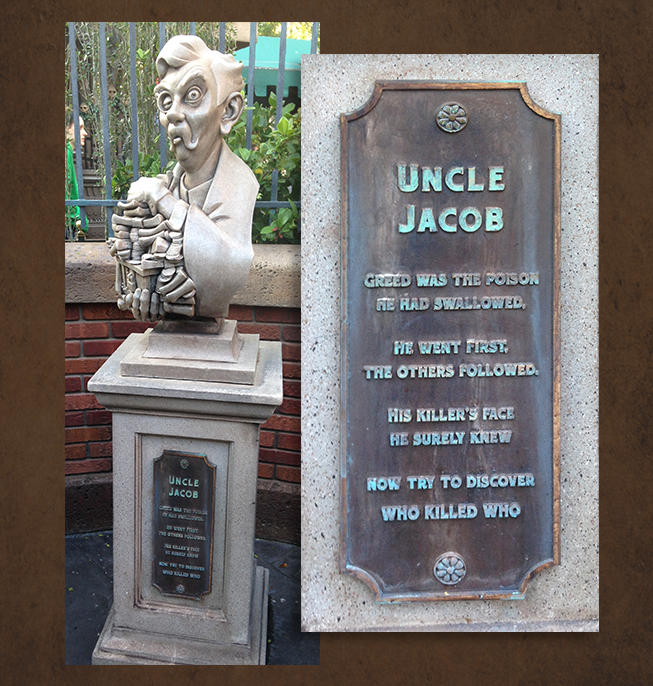 The riddle starts here, because poor Uncle Jacob “went first” and his plaque invites guests to solve the mystery. 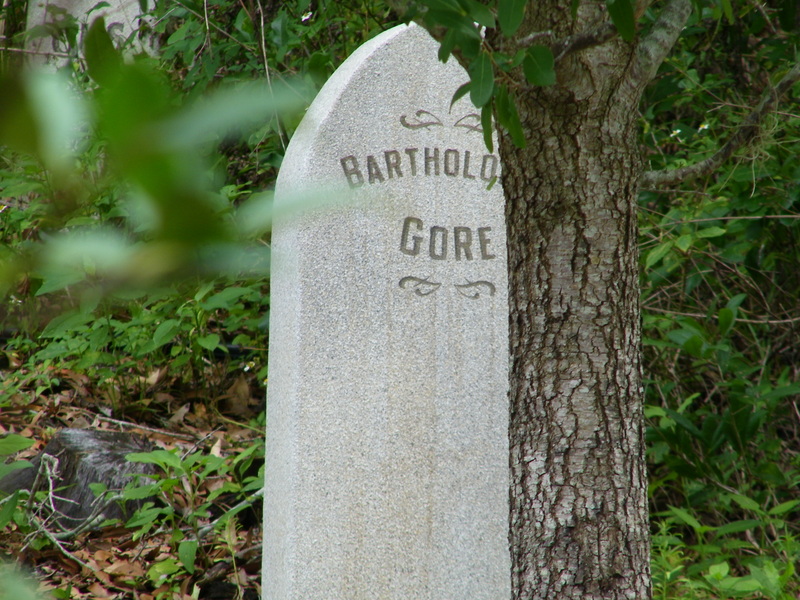 He was poisoned, according to the epitaph. But who did it? Bertie is next up, and he’s the one who killed Uncle Jacob. Look at what’s above his name: a bottle of poison. Uncle Jacob was poisoned. See the pattern? 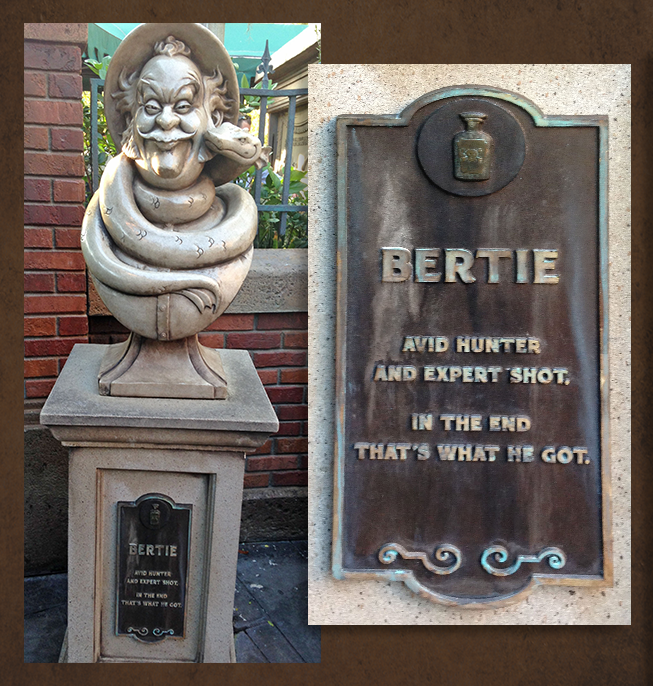 Now, Bertie (who, by the looks of him, moonlighted as a Jungle Cruise skipper) was shot. Ouch. The dastardly Aunt Florence is the one who sent Bertie to the great beyond. Check out the pistol on her plaque, which answers the question of Bertie’s killer. 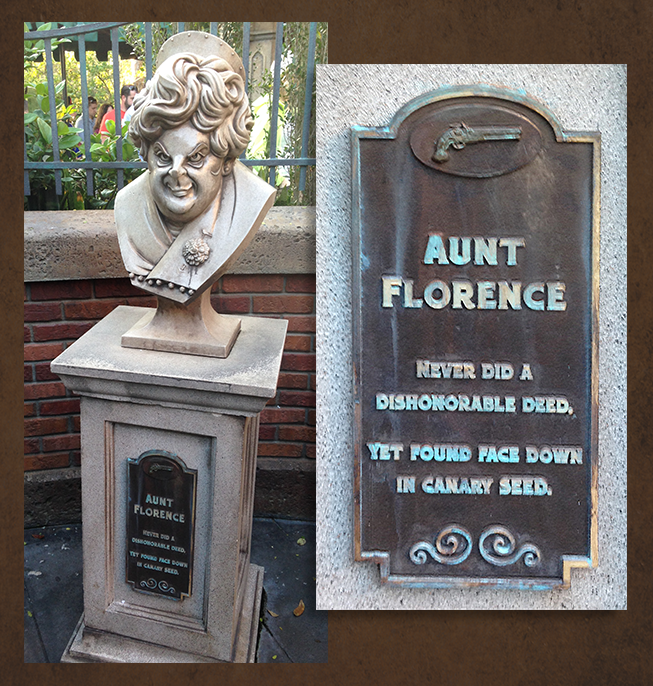 But poor Aunt Florence herself was “found face down in canary seed”. Finally we come to Cousin Maude and her hammer, which I’d bet matches those bumps on the twins’ heads. But, who killed Maude? 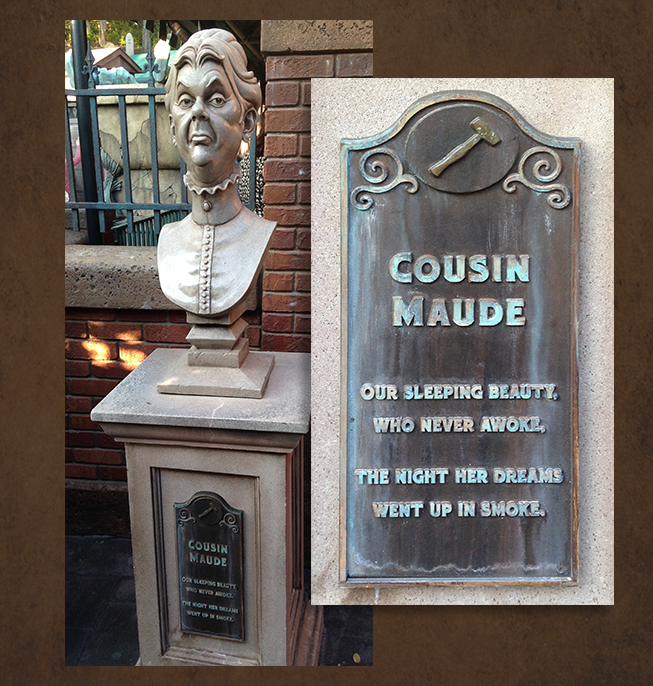 If you circle around to the back of Cousin Maude’s bust and look in her hair, you’ll find matches. Looks like she’s the one who “sent her dreams up in smoke”. Along the way towards the mansion you’ll see a lot of headstones with funny epitaphs, but these are more than just set dressing. 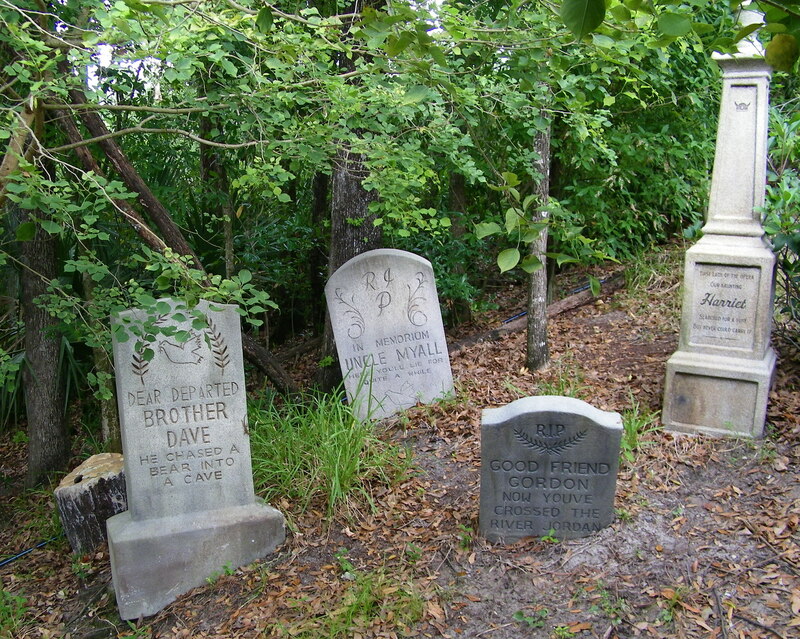 In fact, these graves are the ‘credits’ for the Haunted Mansion as they feature the names of Imagineers who worked on the attraction. 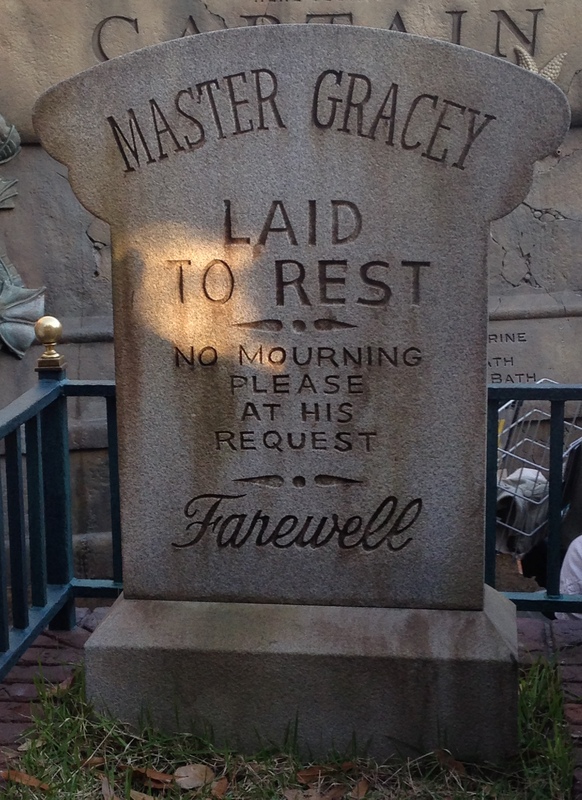 Master Gracey refers to Imagineer Yale Gracey, who designed many of the special effects seen in the Haunted Mansion. The mansion, because of the “master” part, is often referred to as Gracey Manor, though this is mostly a fan thing. X. Atencio (who wrote the epitaph) states that it’s actually just a reference to someone too young to be called ‘mister’. Francis Xavier is a reference to X. Atencio. 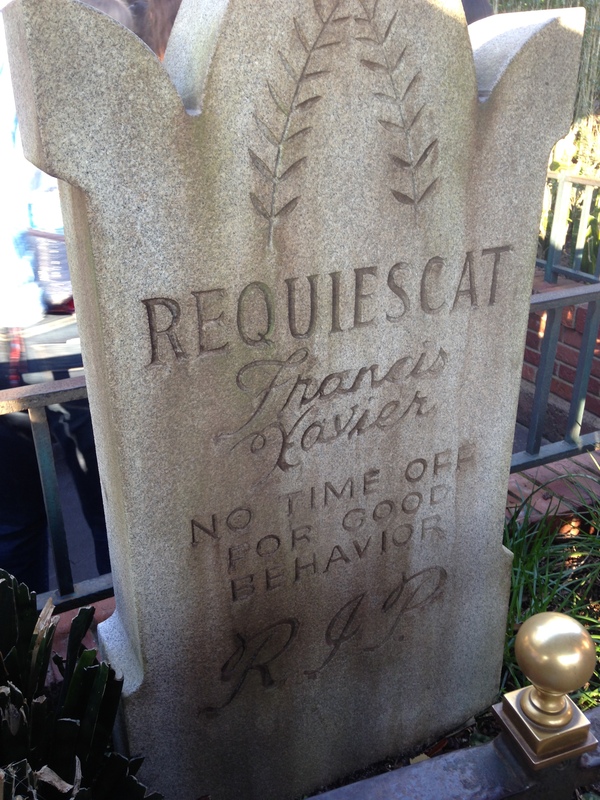 He scripted the ride, wrote the song “Grim Grinning Ghosts” (also “A Pirate’s Life For Me” and a bunch of others) and he’s the one who wrote the cute epitaphs on the ‘graves’ of the Imagineers. Marc Davis was a legendary animator and Imagineer, one of Walt Disney’s core “Nine Old Men” and he was responsible for not only animating many beloved movie characters (like Tinkerbell) but he designed many characters for lots of Disneyland attractions. The early concepts for the Haunted Mansion had a sea captain as a central character, but as the attraction evolved his role was cut back. 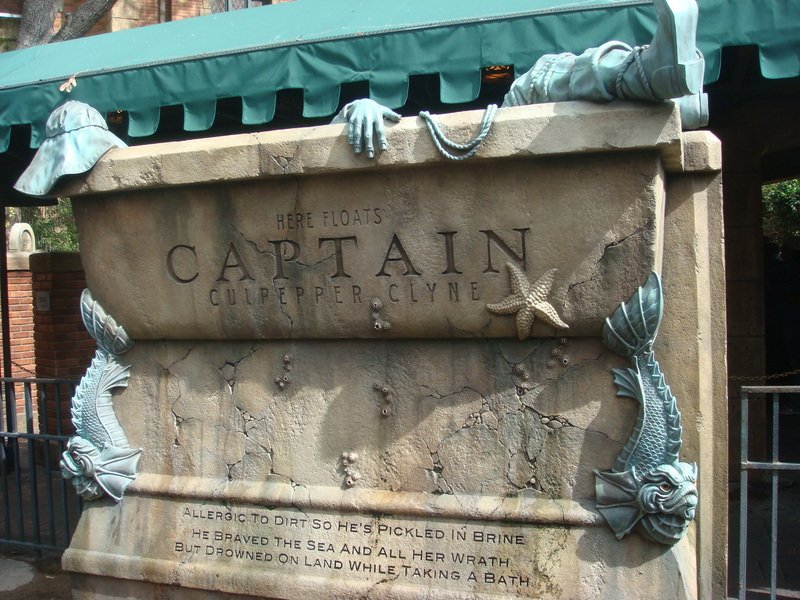 Prior to the 2007 renovation “the Mariner” could be seen on a portrait, his eyes following guests as they went by; during the renovation the portrait (without the moving eye effect) was moved to a wall in the doom buggy loading area. 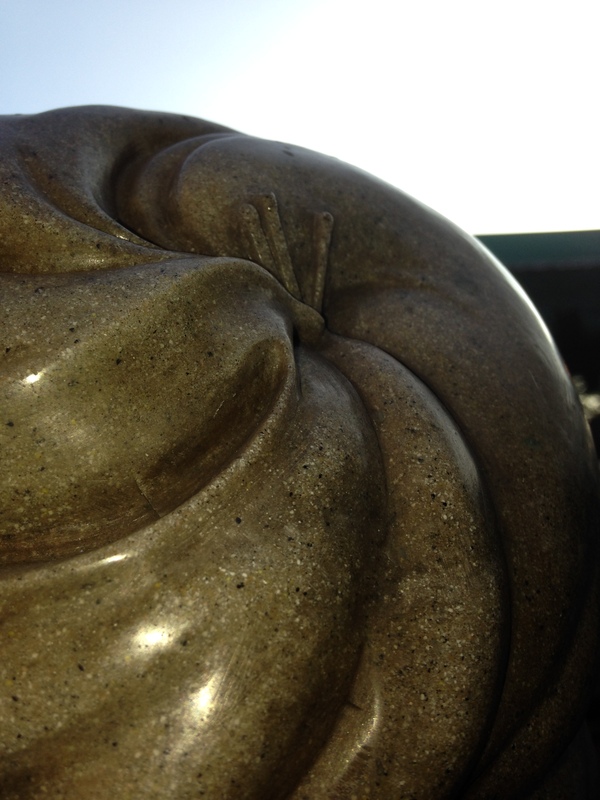 The salty sailor has always been a part of the Haunted Mansion in one form or another. If you stand by his crypt and listen, you can occasionally hear him sing. 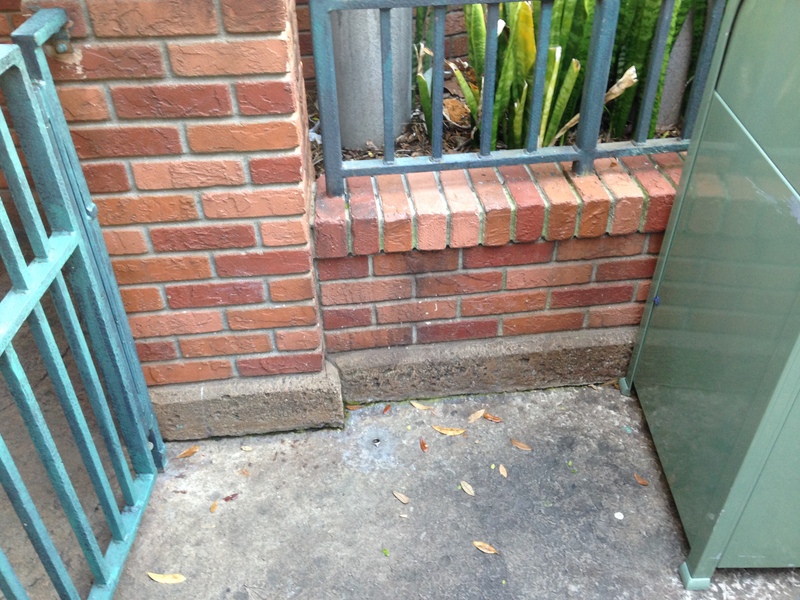 The real saga of the now-legendary ring started with a simple pole located at the exit of the ride. 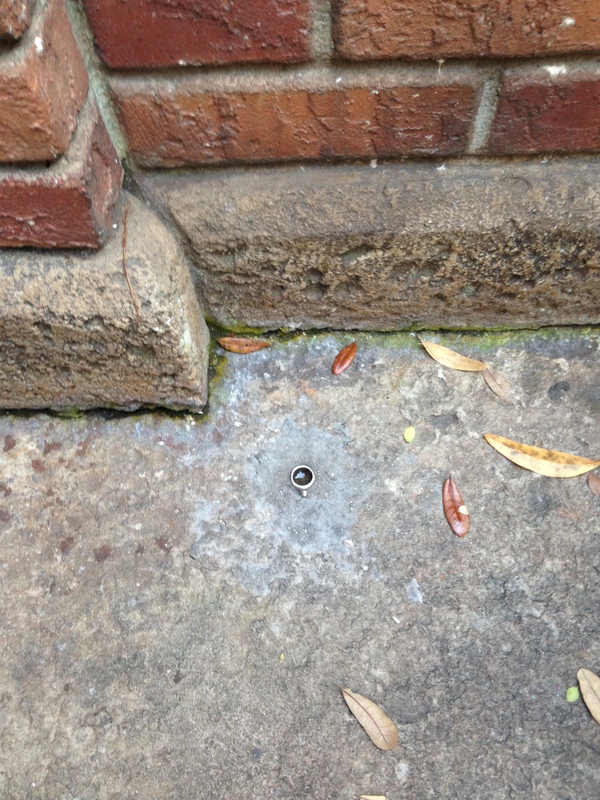 The pole was eventually removed, but left a small silver circle embedded in the cement. There was a small metal square on top of the circle which could be mistaken for a stone’s setting, making it look a bit like an engagement ring. 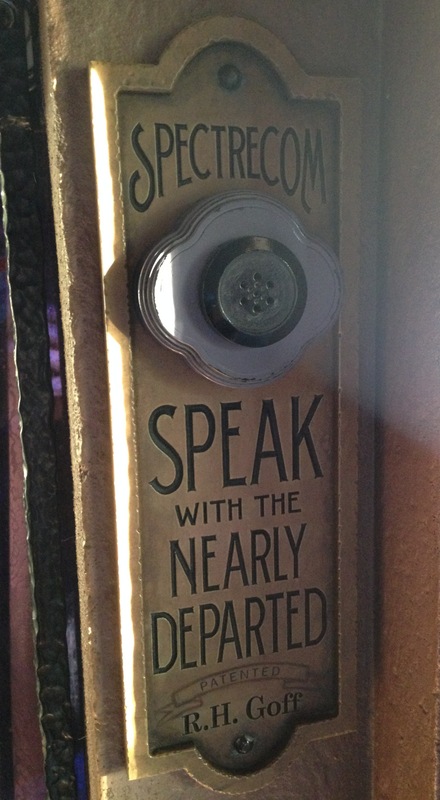 Guests noticed it, and a whole bunch of tales were created by fans to explain how this ring fit within the narrative of the Haunted Mansion. Eventually the piece of metal was paved over, but later an actual ring was hidden in the queue and was given an official story (which I told above) to explain its presence. The ring, from a distance for location purposes. If you’re facing Captain Clyne’s crypt, there’ll be a trash can to your right and the ring is in the corner near that. A closer shot of the ring. Interestingly, it’s a different ring than the one I took a picture of a couple years earlier (that pic can be seen in my Grim Grinning Ghosts post). No idea why they changed it. As you walk through the queue, you’ll find a wall of musical instruments. It looks like just a neat display, but it is actually interactive. Touch any of the instruments, and you’ll hear music playing from that instrument. It can be tough to hear on a really busy day when there’s a lot of crowd noise, but each one does sound different. On one side there’s ‘normal’ instruments, while the other has their more haunted counterparts. 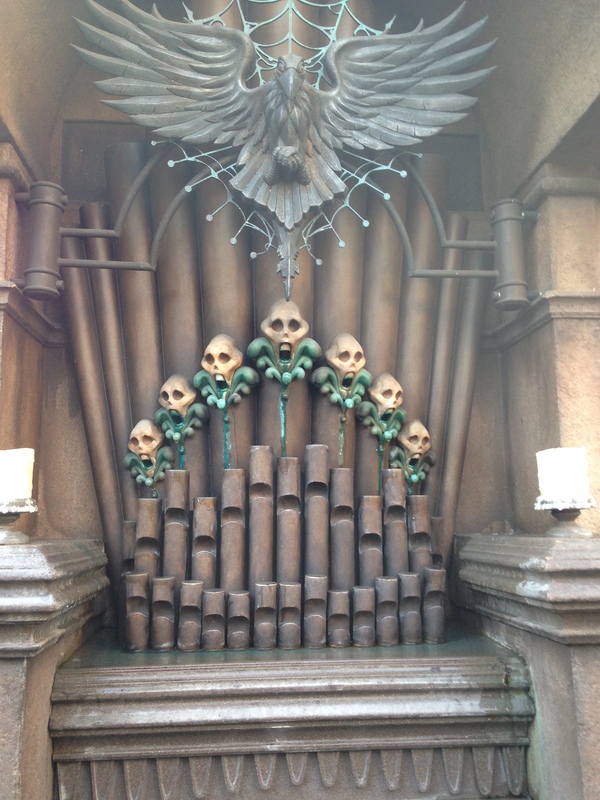 You’ll also find the pipe organ on one end of the crypt, and you can make music by touching its keys. 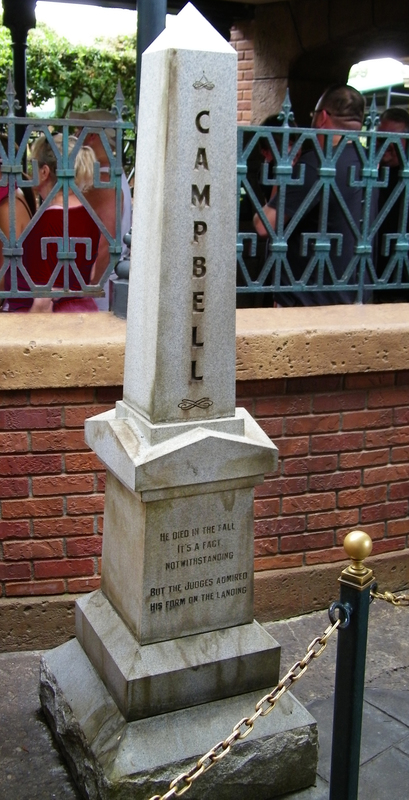 While the music for “Grim Grinning Ghosts” was actually composed by Buddy Baker, in the ride’s story it was actually created by a character called simply the Composer. 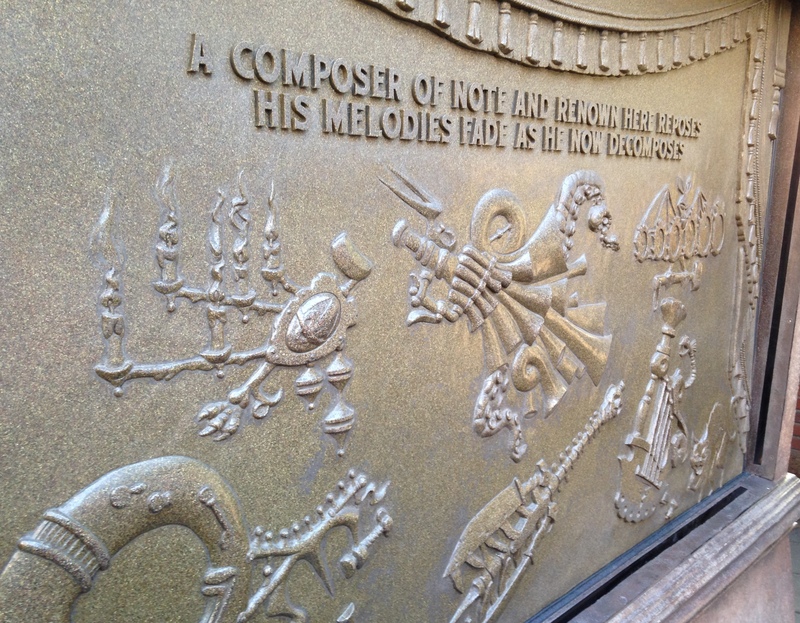 This interactive element of the queue is known as the Composer’s Crypt. (photo by Benjamin ‘Van’ Druhot). 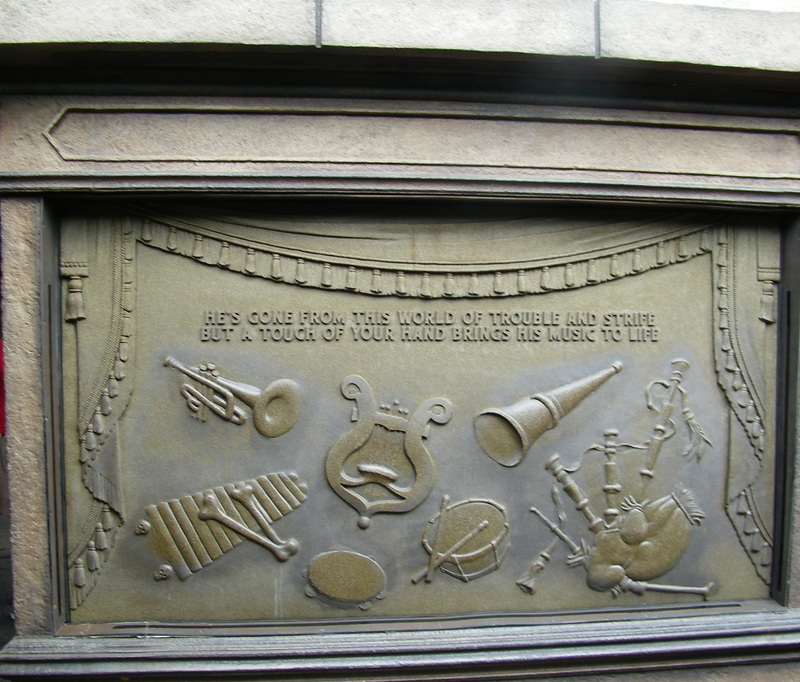 This side may be a reference to the band of ghosts playing in the ride’s cemetery scene, and the spooky instruments on this side of the crypt are supposedly inspired by Rolly Crumps’s designs. 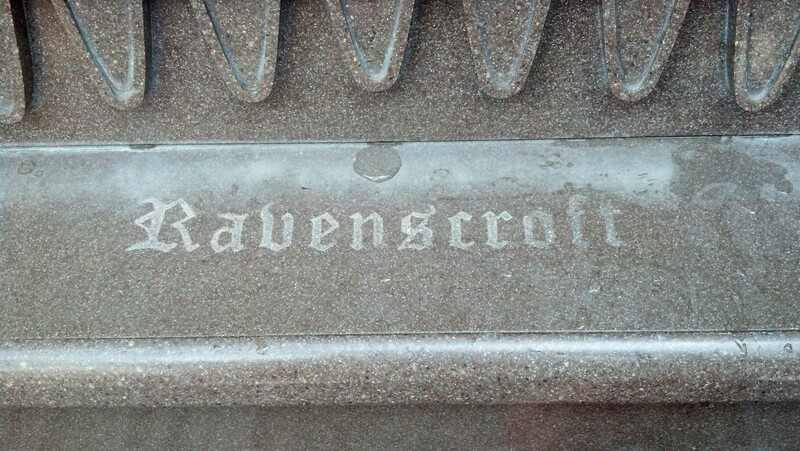 The name etched onto the pipe organ, Ravenscroft, is a reference to voice actor Thurl Ravenscroft. 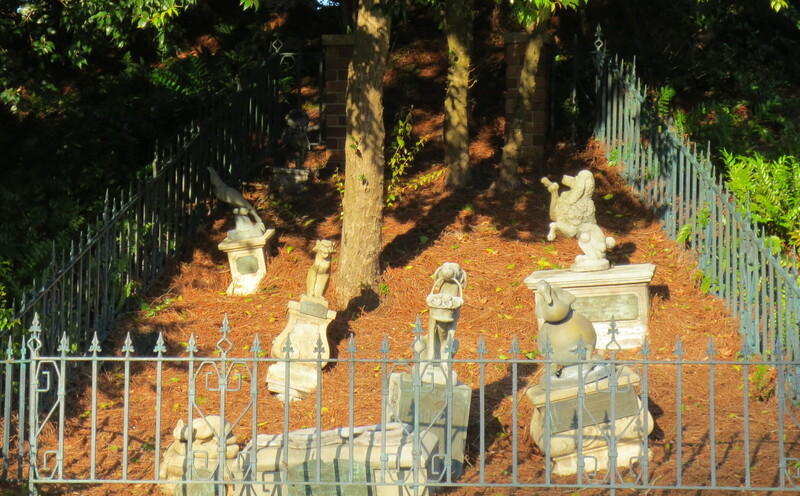 He’s the lead voice of the singing busts in the mansion’s cemetery scene as they perform “Grim Grinning Ghosts”. He also, for the record, has one of the coolest last names ever. 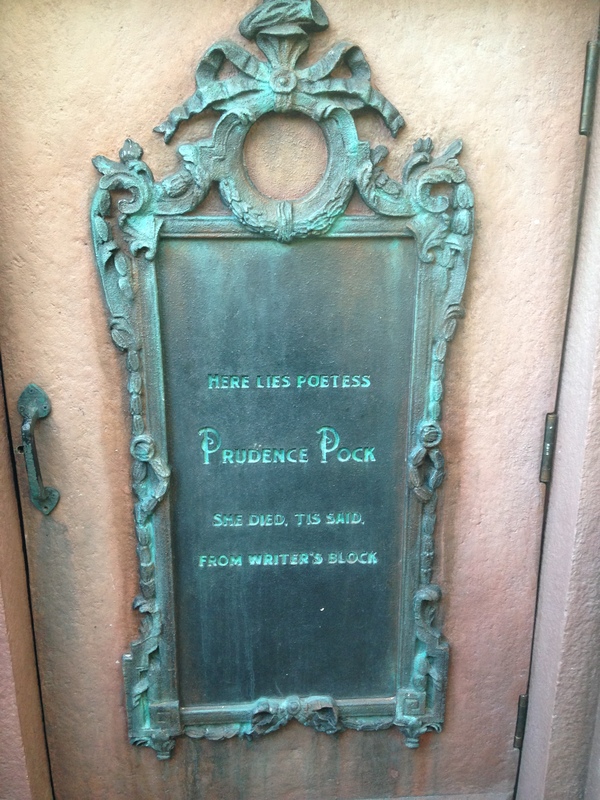 There’s a crypt in the queue, which according to its plaque is the final resting place of poetess Prudence Pock. While Prudence herself is unique to the interactive queue, the Pock family name is not. 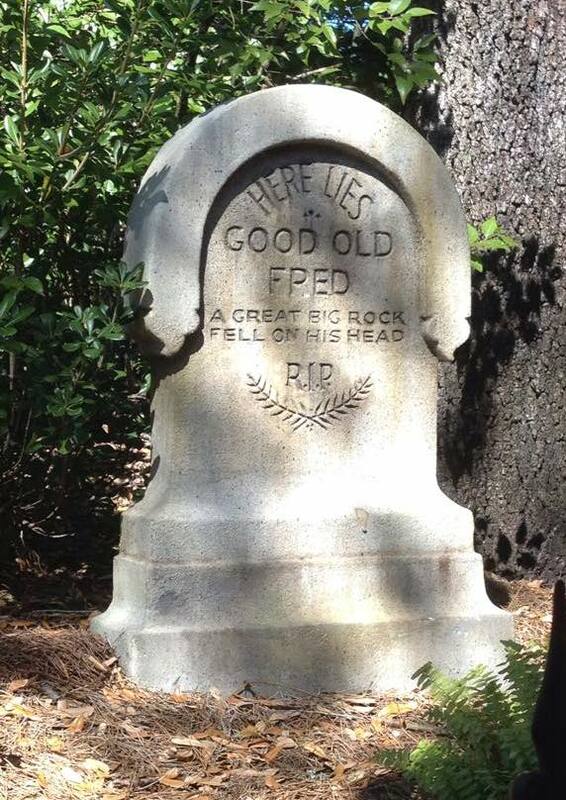 Phineas Pock has appeared multiple times in Haunted Mansion history. 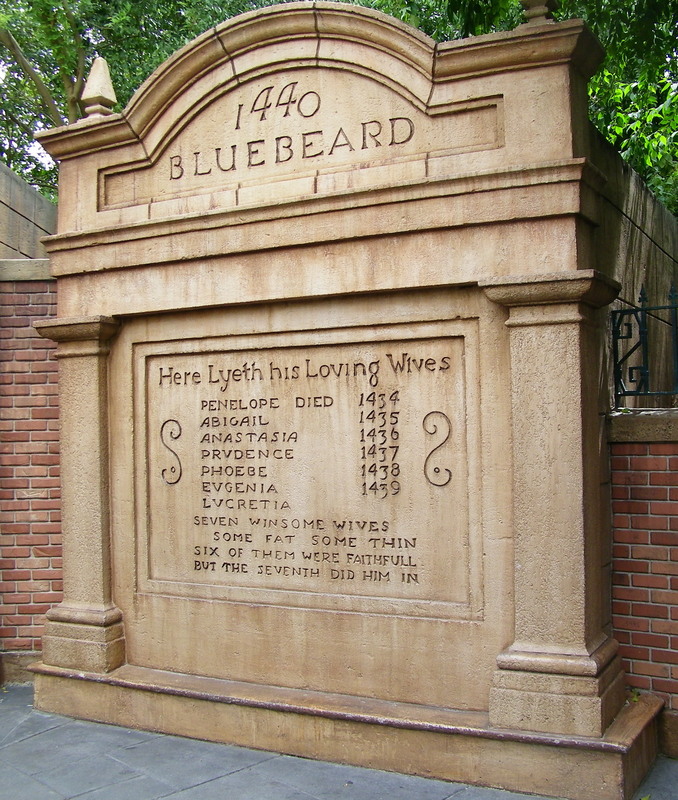 It’s unclear what the relationship between Prudence and Phineas may be, but the Pock family does have a long history within the Haunted Mansion attraction. 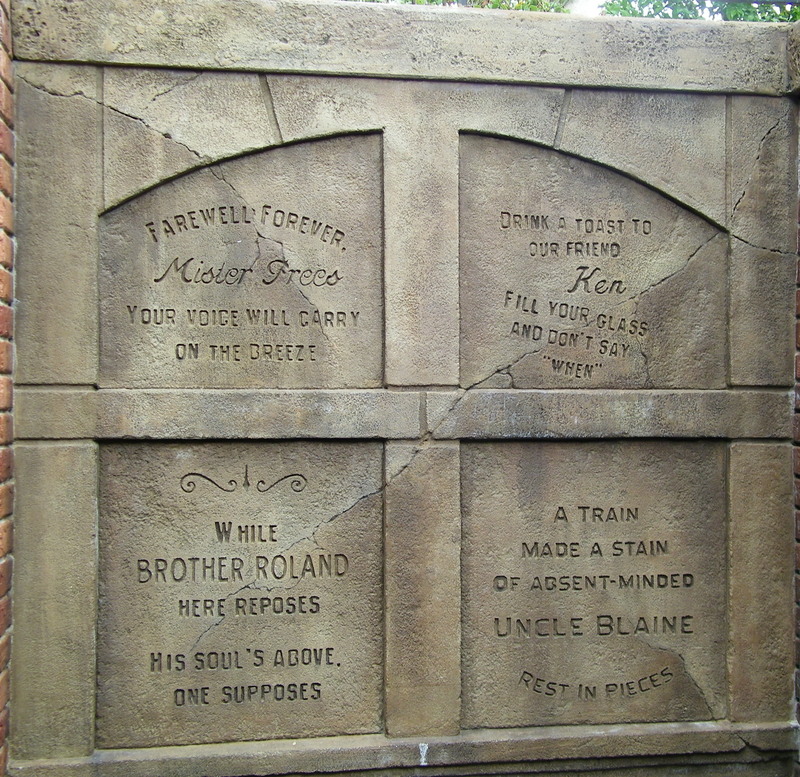 Phineas Pock is one of the singing busts in the ride’s graveyard scene, and the character was used for various promotional materials around the debut of the original Disneyland mansion. Paul Frees voiced him in early radio commercials, and a souvenir book sold at Disneyland in the 1970s was ‘authored’ by Phineas. 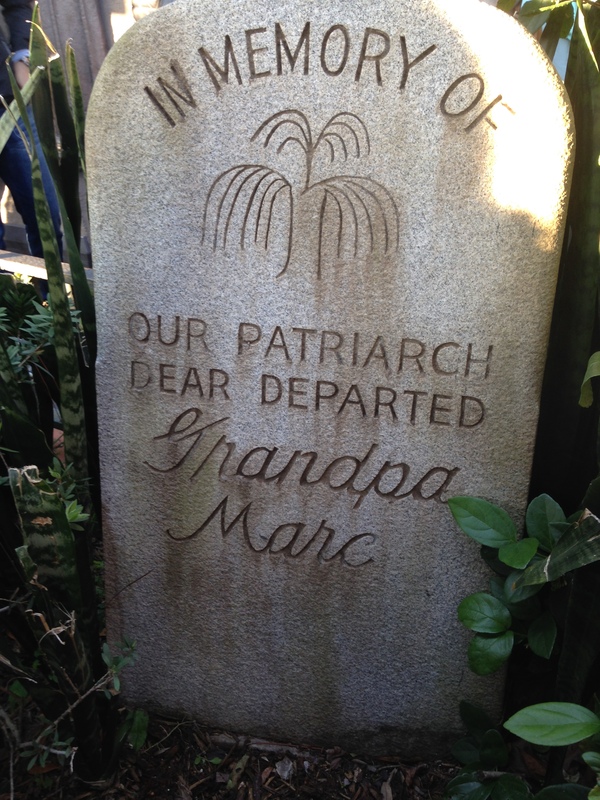 So Prudence may just be in the interactive queue, but her ‘family’ has long been a part of Haunted Mansion history! Behind metal bars in Prudence Pock’s crypt sits a book, and the poetess continues to write her rhymes from beyond the grave. As she composes her poems the words appear on the pages, but she’ll occasionally need help. Say the next word that she needs into the nearby speaker, and that too will appear in the book. Then all of the words disappear, and a new poem is written. This microphone next to Prudence’s poetry book includes a nod to Harper Goff, an art director who worked on early concepts for the original Disneyland park. He also worked on one of my favorite Disney movies, 20,000 Leagues Under the Sea. To the casual observer, the bookcase is just a fun toy: push one book in, and another will slide partway out. Some of the spines have strange symbols carved into them, like an axe or a candelabra, which all just seems like cute window dressing. But, according to Inside the Magic, those symbols are much more. 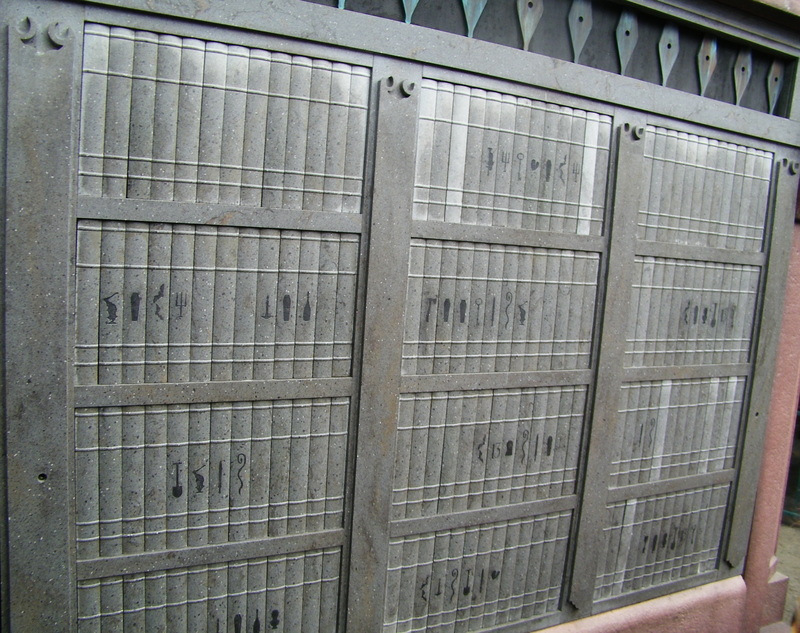 They’re actually an elaborate cryptogram which, when solved, spells out a haunted riddle. Inside the Magic already has a great exclusive report which you can read here. I definitely recommend heading over (once you’re done here, of course) and checking it out. Named for, and modeled after, Leota Toombs (though the voice was provided by actress Eleanor Audley), Madame Leota is one of the most popular characters in the Haunted Mansion. 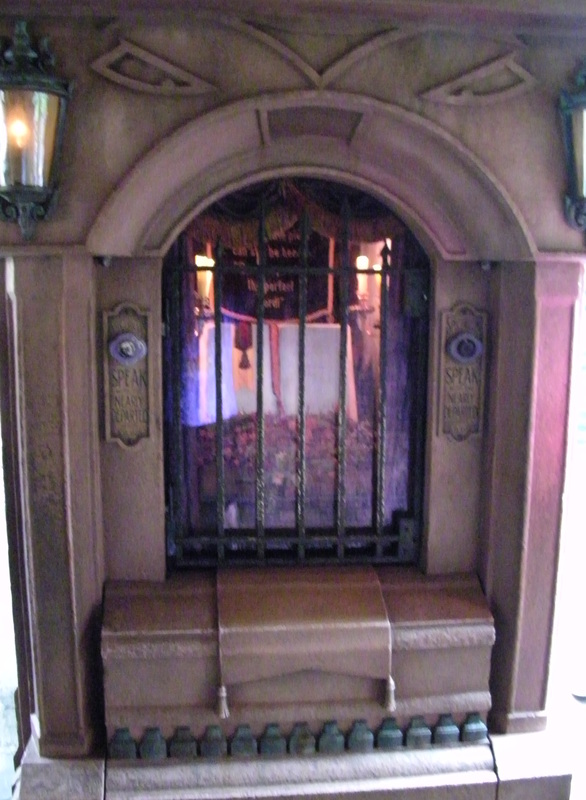 Her tombstone appears right before the front door, her disembodied head is casting spells from within a crystal ball in the ride’s seance scene, and she’s appeared on lots of merchandise as well as in related media (such as the movie and video game). 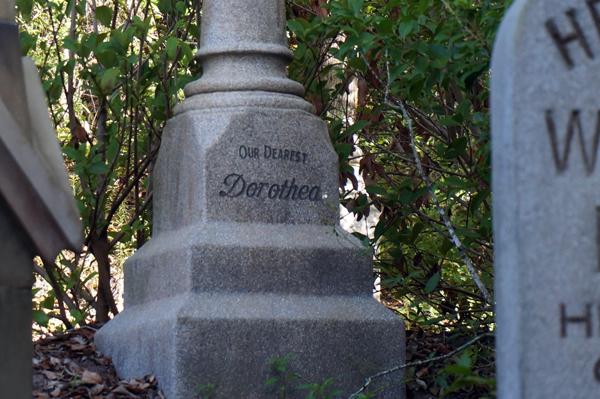 Plus, ‘Leota Toombs’ is a great name for an Imagineer, especially one who worked on the Haunted Mansion. 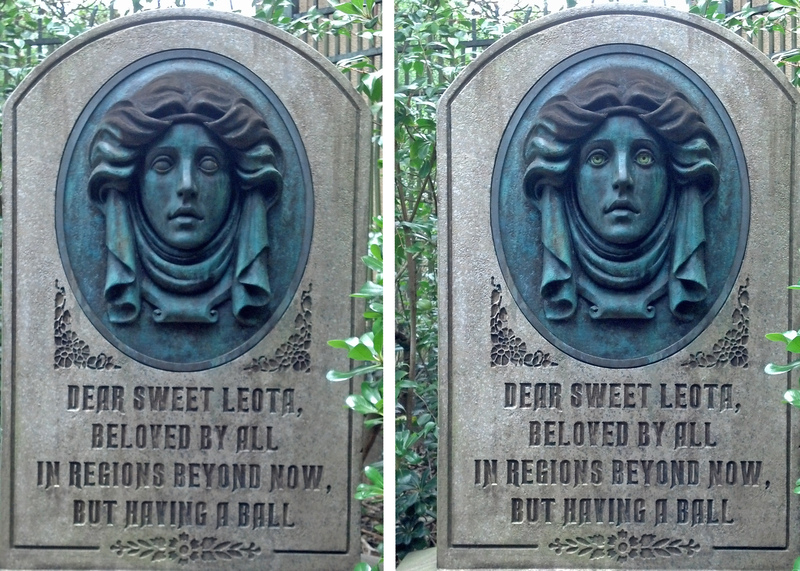 If you get the chance before being ushered into the mansion’s foyer, watch Leota’s tombstone. Every few minutes her eyes will open, her head will move, and she’ll look around before returning to rest. 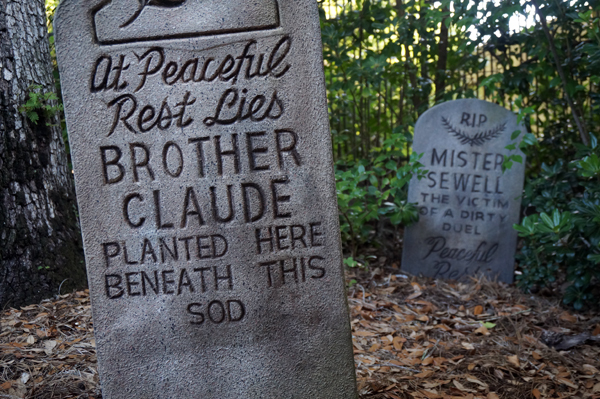 Like the graves along the queue, these tombs at the ride’s exit also reference people who helped create the Haunted Mansion. Tucked away in the back is none other than Mr. Toad! 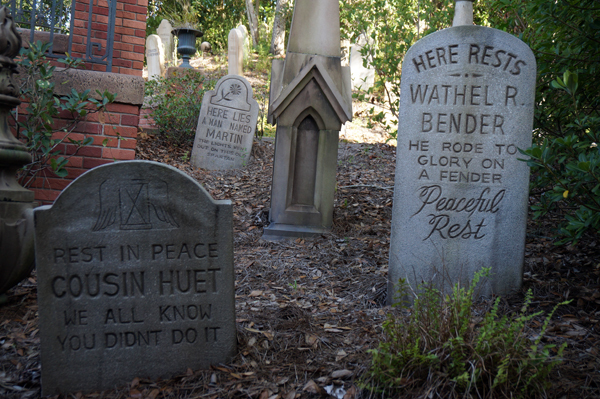 This grave is a nod to the passing of his attraction, Mr. Toad’s Wild Ride, which was replaced (in Florida, anyway) with The Many Adventures of Winnie the Pooh. 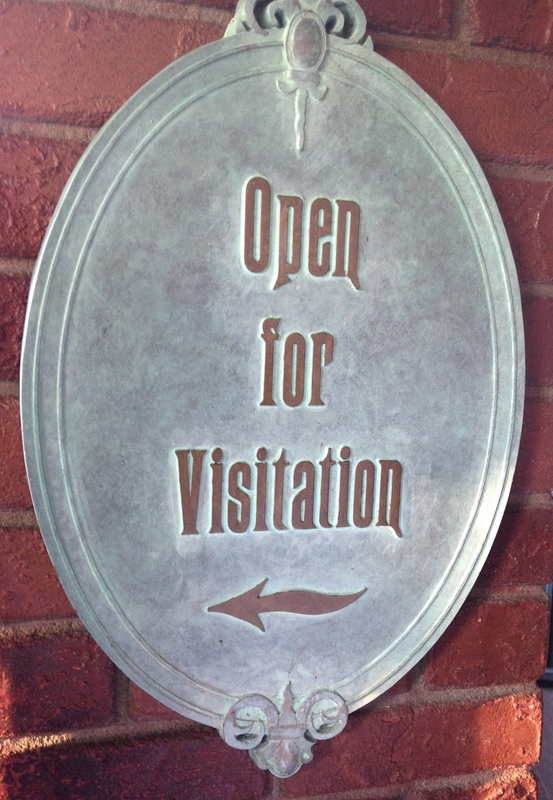 More than just an interactive way to kill time in line, the queue at the Haunted Mansion is an extension of the story and a treasure trove of nods and secrets; full of references to the attraction’s history as well as tributes to the Imagineers that helped create it. Like most things at Disney, there’s more than meets the eyes, and for those who really look they’ll find that seemingly ordinary details could have a hidden meaning. Some special notes: Check out the World of Walt podcast (on which I was a guest) about some of the interactive queues in the Magic Kingdom! Follow this link to get there, and check out my other guest appearances by following this. 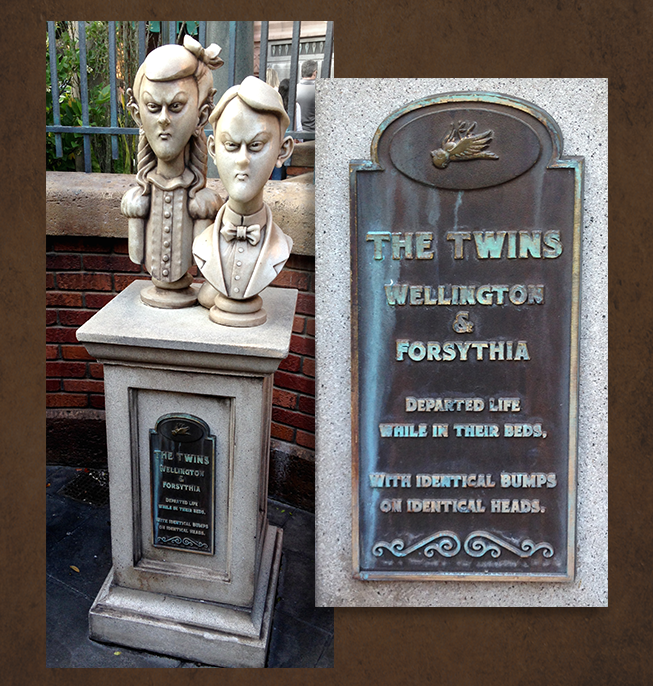 Also, I’ve written about Haunted Mansion trivia before in a post entitled Grim Grinning Ghosts. Some of the info does repeat, but there’s lots of other fun facts to be found there. Special thanks to Benjamin ‘Van’ Druhot, Herb Leibacher, and Brett Brayman for supplying many of the photos for this post. This entry was posted in Attractions and tagged Disney, Haunted Mansion, Interactive Queue, Magic Kingdom, Walt Disney World. Bookmark the permalink.